May 6, 1998 was a Wednesday. I used to work at home most Wednesdays. That day I got a call from my boss’s assistant instructing me to hurry in to the office. Which means I was probably not wearing pants when I first heard about the existence of the iMac. Those were funny days, the days before live coverage of every Apple new-product announcement. Not only was the technology not really far enough along to allow for such a thing, but nobody really cared. In fact, the only person from Macworld to attend Apple’s event at the Flint Center in Cupertino was the editor in chief. He did it largely because someone needed to do it. In a sad case of The Boy Who Cried Wolf, in early 1998 Apple had held a series of secret product briefings for minor Mac updates. We were tired of it. So only one of us went. Cut to me — not with my metaphorical pants down, though certainly Macworld's were — wearing a pair of gym shorts and, more than likely, a t-shirt with a hole in it. Within an hour I was with the entire Macworld editorial team, talking about what we were going to do to cover the crazy new consumer Mac that just might pull Apple out of its late-’90s tailspin. Ten years later, the iMac is still with us, though it has transmogrified from a 233MHz CRT-based all-in-one system into today’s 3.06GHz flat-panel-based system. In the years following the announcement, the iMac helped Apple stagger to its feet, and in 2001 the iPod helped get the company back to the top of its game. I don’t think it’s unreasonable to suggest that without the iMac, Apple would either be out of business or a vastly different company than the one we see today. And certainly the iMac was the first Apple product to truly bear the stamp of Steve Jobs, as well as designer Jonathan Ive, both of whom have spent the last decade driving Apple on to even more impressive creations. Want to know what we wrote about the original iMac, ten years ago? The web makes a lousy archive, but I managed to dig up the text from an archive CD-ROM and have posted our original cover story in all its 1998 glory. 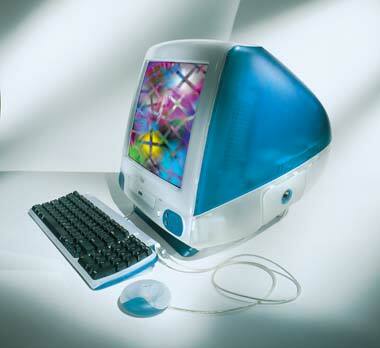 You can also read the editor of Macworld’s initial reaction to the iMac.